We at Fuentek are thrilled to share some exciting news for one of our clients. 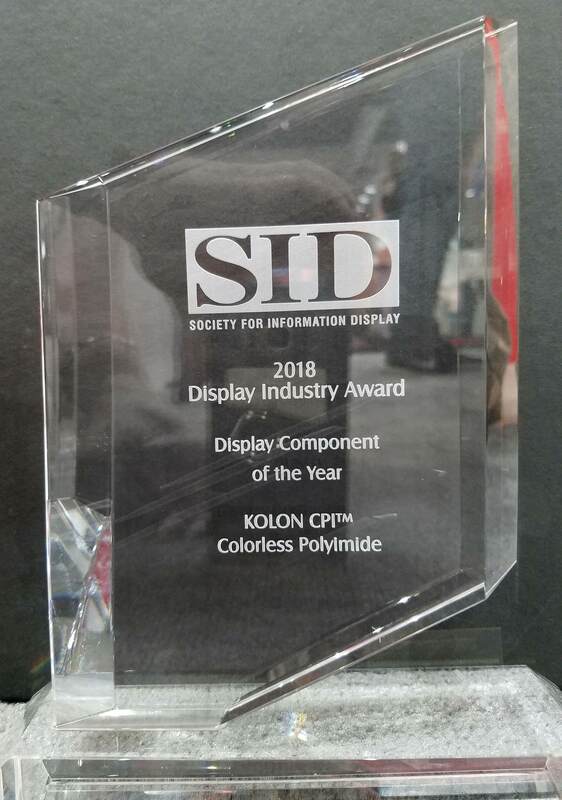 Kolon Industries received the 2018 Display Component of the Year Award from the Society for Information Display for its Colorless Polyimide (CPI™) technology. And later this year, Kolon’s cutting-edge material will be in the pockets of everyone with the Samsung Galaxy X—the only phone in the world with a foldable display. 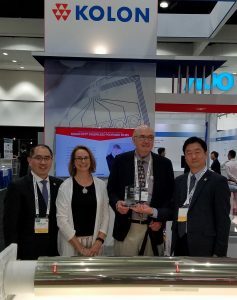 Presented during Display Week, the 2018 Display Industry Awards (DIAs) recognize innovative display products, components, and applications that hold the most promise for shaping the future of the global industry. “We commend [Kolon’s] ongoing commitment to innovation and to helping shape the future of display performance and solutions,” said Display Industry Awards Committee Chairman Wei Chen. Colorless: Unlike other polyimide materials, which are all yellow, Kolon CPI is highly transparent with great clarity. Flexible: Kolon CPI films can be folded or rolled, conforming to a new generation of innovative devices. 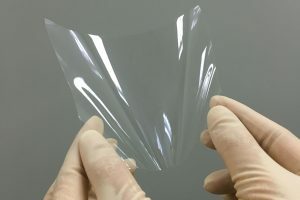 Unique surface: The surface is both exceptionally smooth and durable, making it an ideal film substrate. It’s available in film form and as a varnish for coatable surfaces. More details about Kolon CPI are available here. Because Kolon is based in South Korea, the company chose to leverage our U.S. presence, asking us to be a partner in implementing the strategy. (We were happy to oblige!) In the meantime, Kolon continued with its R&D, focusing on achieving a price point and other characteristics that we advised were essential for commercialization success. Of you would like to learn more about Kolon CPI or how Fuentek can help you achieve commercialization success for your innovations, contact me through our website. CPI is a trademark of Kolon Industries, Inc.